"EXCELLENT in every aspect. Very knowledgable in all work. I would highly recommend them and call them for all my electrical needs... big and small... they do it all!" 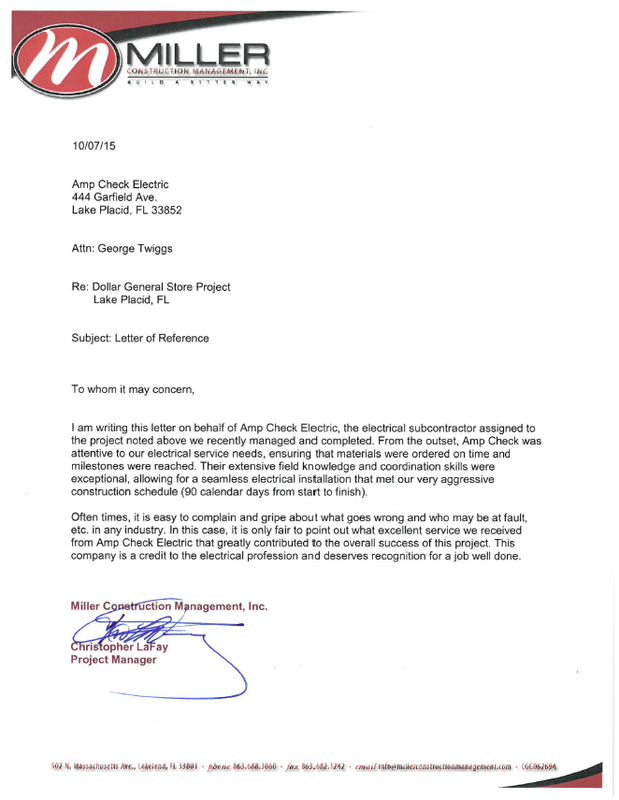 "Called Amp Check Electric for repair work on a Horizontal Laminar Flow Hood. Great work ethic. Systematically worked through the unit until the problem was found. Would HIGHLY recommend this company as they are technically sound to do repair work on a variety of sophisticated systems." April 17, 2015 Judy V.
"Would highly recommend this company! We have had George out to our new home several times...have had nothing but a great experience. He was always on time, very kind, and a fair price for the work done...we would never consider using any one else but Amp Electric!!!!" February 5, 2015 Brian P.
"These guys know what they are doing. They were on time and were able to find and fix the problem quickly. They friendly, clean cut, and professional. I would definitely use them again as well as recommending them to my friends, family, and customers."